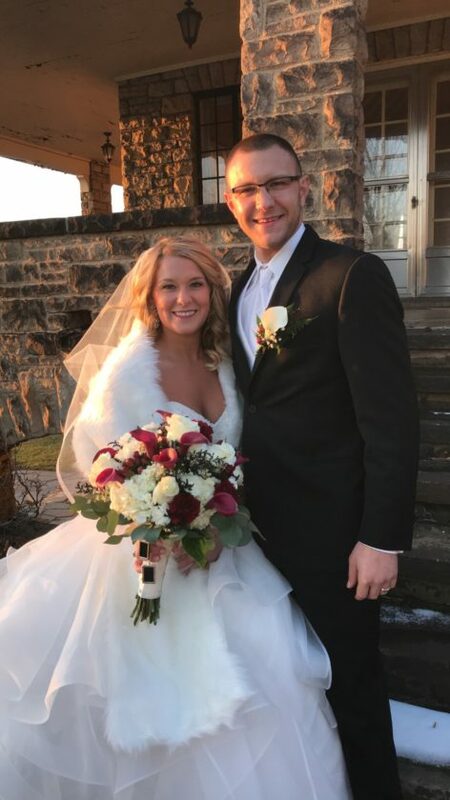 STEUBENVILLE — Alyssa Williams and Justin Mosti were united in marriage Dec. 16 at Triumph of the Cross-Holy Rosary Catholic Church in Steubenville. The Rev. Thomas Nau officiated. The bride is the daughter of Jerry and Lisa Williams of Wintersville. The groom is the son of David and Marilyn Mosti of Steubenville. 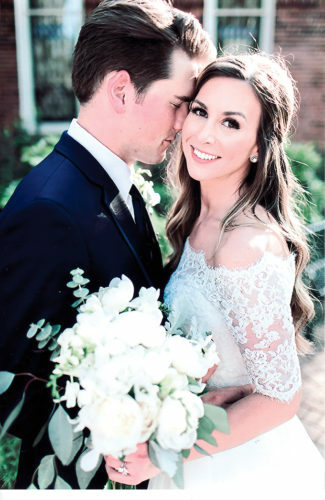 Escorted to the altar by her father, the bride wore a white, sweetheart neckline, layered ball gown embellished with white pearls, rhinestones and a rhinestone belt. She carried a flowing bouquet of burgundy orchids, white hydrangea, white roses and burgundy berries. 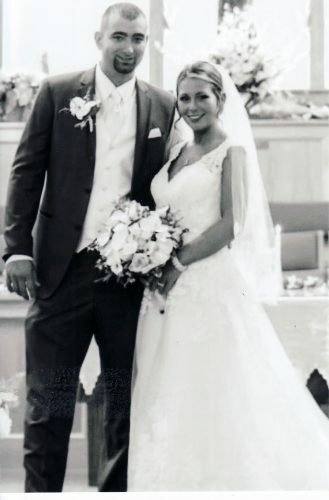 Caroline Kostiuk of Canton, cousin of the bride, served as the maid of honor. 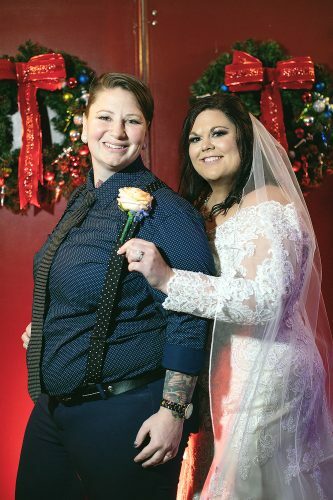 Bridesmaids were Samantha Lytle of Columbus, Sarah (Skiviat) Rossi of Cleveland, Kristen Sabatino of Mingo Junction, Abby Sawon of Mingo Junction, Anne Marie Emmerling of Steubenville, Jessica Mosti of Steubenville and Emily Canella of Wintersville. Isabella Williams of Columbus was a junior bridesmaid. Ava Williams of Myrtle Beach, S.C., cousin of the bride, was the flower girl. Jared Mosti of Steubenville, brother of the groom, served as the best man. Groomsmen were Justin Corella of Steubenville, Ryan Smith of Steubenville, Jacob Emmerling of Steubenville, Michael Petrella of Wintersville, Jason Humienny of Philadelphia, Zach Williams of Wintersville, Zach Heaton of Follansbee and Ryan Cagot of Follansbee. Gavin Williams of Columbus, cousin of the bride, was a junior usher. Ring bearers were Eli and Koby Looman of Painseville, Ohio, cousins of the groom; Gavin Williams of Myrtle Beach, cousin of the bride; and Ryder Kosikowski of Phoenix, cousin of the bride. Following the reception at Mountaineer Racetrack, Casino and Resort, the newlyweds honeymooned in Montego Bay, Jamaica. 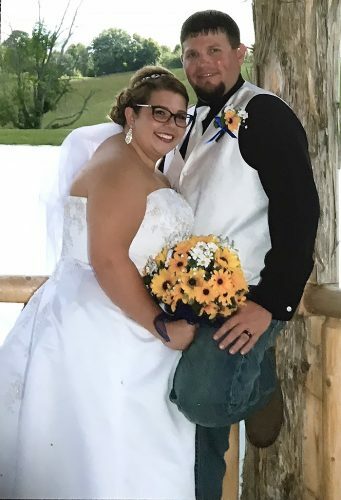 The bride is a 2009 graduate of Catholic Central High School and a 2013 graduate of West Liberty University. She is employed at Bishop Mussio Elementary as an intervention specialist. 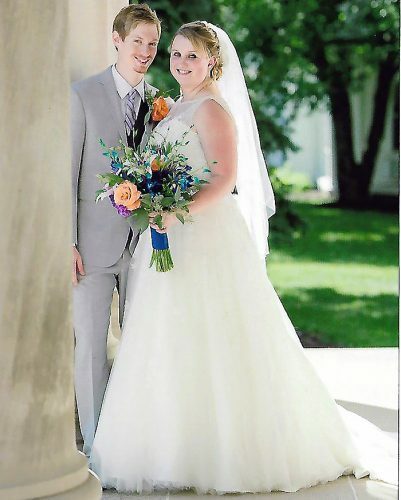 The groom is a 2009 graduate of Catholic Central High School and a 2013 graduate of West Liberty University. He is employed at Mosti Funeral Homes. The couple reside in Wintersville.